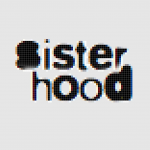 ACTIVISM SPOTLIGHT: Ramadhan campaign highlights cases of triple-talaq in India - sister-hood magazine. A Fuuse production by Deeyah Khan. Rasul Beevi from Tamil Nadu, was married at 15 and then divorced at just 18, after her husband orally pronounced talaq (‘I divorce you’) three times. He was suspicious because she had conceived a child at 18, and not when she was younger. Rajakani, also from Tamil Nadu, suffered domestic violence and pressure for dowry. She was informed by her husband that he had divorced her, without any warning or due process. Lubna from Maharastra also faced domestic and dowry abuse, and was unilaterally divorced after her husband merely pronounced talaq three times. These are just some of the stories of women affected by the practice of triple-talaq which are being highlighted this Ramadhan on the Facebook page of Bharatiya Muslim Mahila Andolan (BMMA). BMMA is a rights-based organization formed by Muslim women in 2007 to fight for their rights in India. 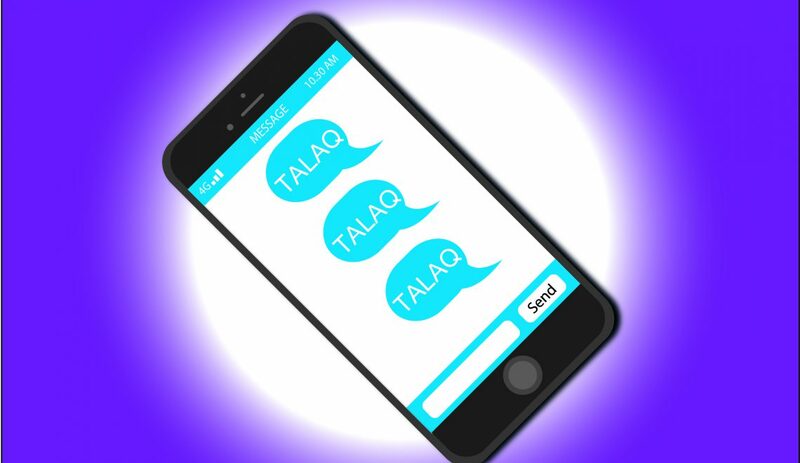 The campaign is seeking to collect and share 30 stories of women from across different states in India, all of whom have been divorced through instant triple-talaq pronounced either orally, through a letter, text, Whatsapp message, or through mosque groups (jamaats). More often than not, they have been left in economically and socially vulnerable situations. 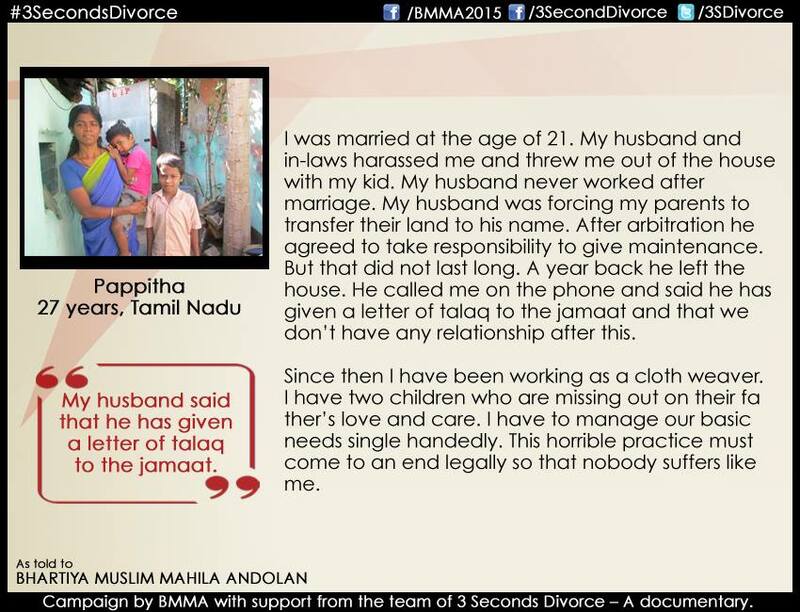 BMMA have been staunchly advocating for reforms and codification of the Muslim family law in India. Their efforts have been captured over the last two years by Indian-Canadian documentary film-maker Shazia Javed and Co-Director Babita Ashiwal from Mumbai, in an upcoming documentary titled 3 Seconds Divorce. 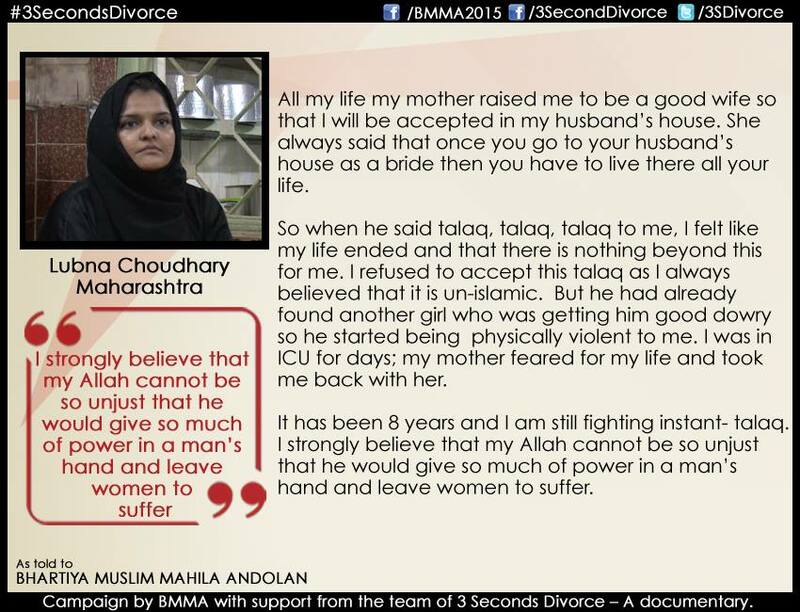 BMMA and the 3 Seconds Divorce team intend to trigger and contribute to conversation on triple-talaq in order to generate widespread support for the Indian Muslim women’s movement. 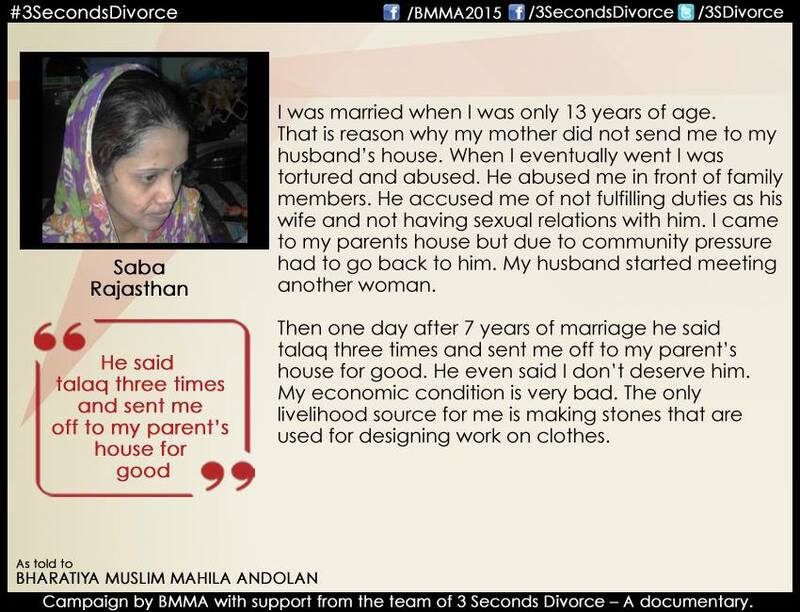 For BMMA, highlighting the individual stories of women is part of the larger objective to mobilize for legal reform of the Muslim family law in India. Other initiatives have included public hearings and debates on mainstream media, signature campaigns, perception surveys on Muslims women’s opinions of polygamy and triple-talaq, supporting legal action and government lobbying. In India, the Muslim family law is not codified, whereas the Hindu and Christian communities have their own Marriage Acts. Muslim women are governed by the Personal Law (Shariat) Application Act, which was passed in 1937. However, according to the BMMA, in the absence of a codified family law, customary practices, which they consider to be divergent from the values and principles of the Qur’an, have emerged and are being practiced arbitrarily by Muslim judges. According to Noorjehan and Samia, it is of utmost importance to codify the Muslim family law in India. Shazia further expressed a crucial point in that individual stories are vital to the debate about law reforms, which would otherwise be superficial. It is hoped that the more people are aware and talk about the grave injustices caused by triple-talaq, the easier it will be to demand change and to pressurize the state to act on these demands. The stories of these women are also stories of resilience and courage featuring women who, despite their difficult situations, have become advocates and activists for change. Thus it is critical that more voices seeking justice and fairness in laws and practices emerge from within the Muslim community, especially from Muslim men and young people – if effective, lasting and positive change is to happen for Muslim communities in India. SISTER-HOOD would like to extend our solidarity and support for the efforts of Indian Muslim women in bringing an equitable, fair and just family law to Muslim women and girls. The Ramadhan campaign is ongoing on the BMMA Facebook page. For more information about the above mentioned initiatives please visit BMMA website and 3 Seconds Divorce website, Facebook page and Twitter.